Macs are the best choice for video recording as the applications that Apple offers are simply exceptional! The one reason why mac users stay loyal to their brand is that it probably never gives them a chance to look further for better applications. With posting and sharing videos becoming all the rage, making videos using Mac has become a national pastime. If you are new to the Mac world and testing the waters here are few mind-blowing applications that can make your videos look professional and absolutely cool. Here is a quick run through of the best apps doing the rounds. 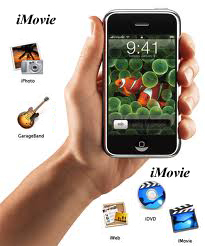 Shoot that lovely dance performance of yours in your camcorder and import it into the iMovie application. Get cracking with the editing with the wide spectrum of editing, transitioning and special effects options available. And as it is built-in, a word that all of us love; it’s become the best application for making what can be dubbed as “Mac movies”! Camtasia can give videos the professional touch it requires. It can not only breathe life into your PowerPoint slides but also can easily integrate other people you’d want to feature in your video as well. Tracking onscreen activity has never been so easy and mouse overs have never looked so interesting. If there an informational, educational or instructional video, Camtasia is the way to go. File formats are the biggest stumbling block when it comes to video clips. If the abbreviations make you dizzy, those how to tutorials can only make it worse for you. With Quicktime it is easy to convert your video file into different formats. It is fast, of high quality and is completely user friendly and compatible.